It is believed that the Anatolian Peninsula that makes up most of modern Turkey is one of the oldest permanently settled regions in the world and there are archaeological sites that are said to date back to 10,000 BC. So not surprisingly, Turkey has more than its fair share of beautiful historic buildings and sites than some other countries. 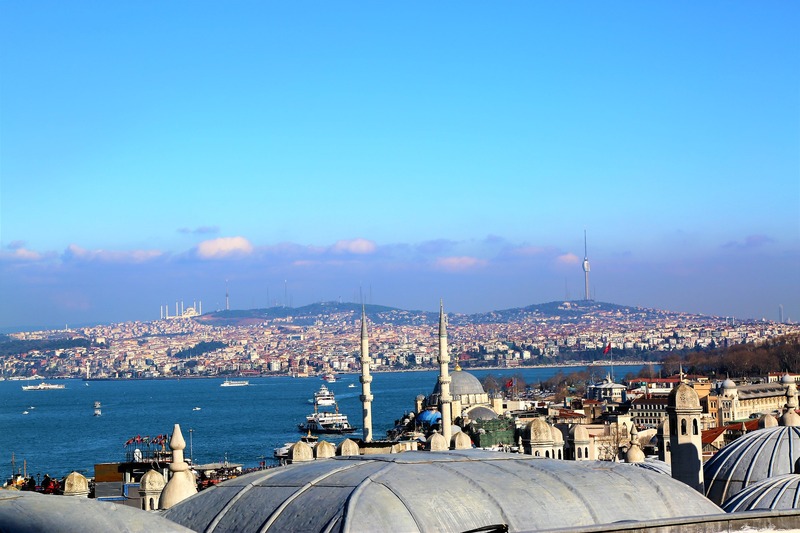 Located in both Asia and Europe, Turkey is a heady mix of history and modernity as it moves forward but never forgets its roots. Visiting some of these beautiful locations will make you realise the tiny little part each of us plays in the grand scheme of things. 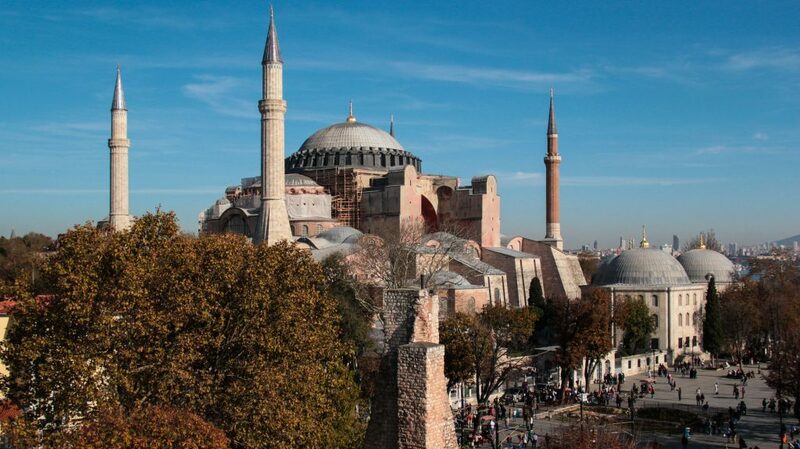 The very first Hagia Sophia was constructed in 360 and has been destroyed, desecrated, rebuilt and renovated through various periods in Turkey’s history including the Byzantine and Ottoman. 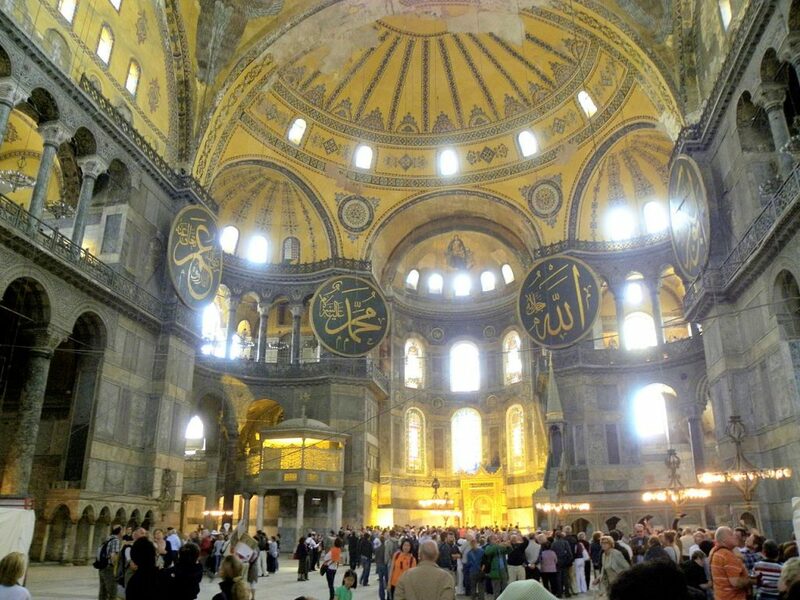 Mustafa Kemal Ataturk, founder of the modern Turkish republic, converted the Hagia Sophia into a museum in 1935 and is visited by millions of people every year. The building itself is a stunning piece of architecture and the mosaics housed within it guarantee visitors will spend hours studying them. 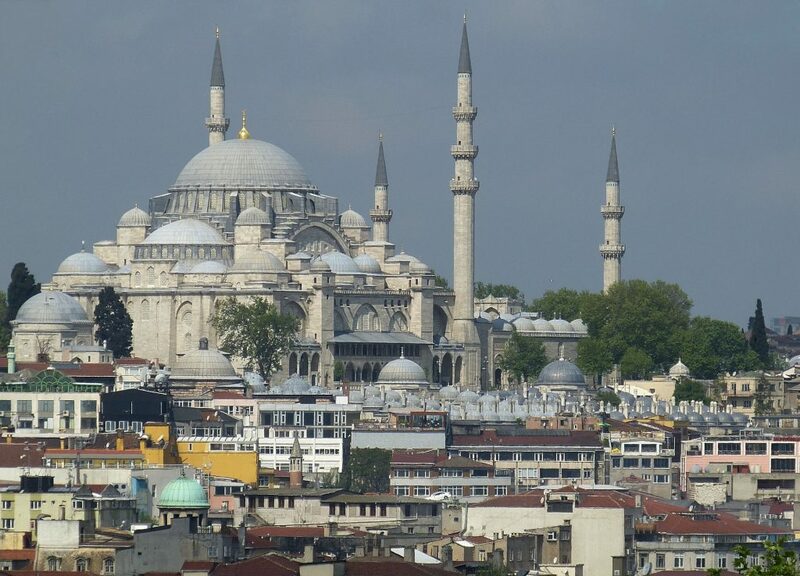 Also known as the Sultan Ahmed Mosque, the Blue Mosque is one of the most beautiful Ottoman mosques in Turkey. It is filled with over 20,000 handmade ceramic Iznik tiles that are decorated with flowers such as roses, carnations, tulips and lilies. 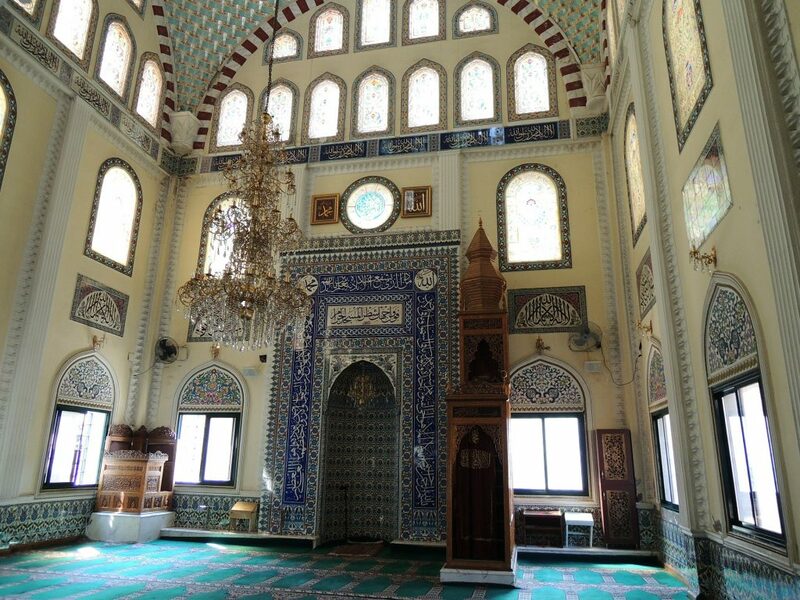 These tiles capture the light from the multitude of windows and give the mosque it’s blue appearance. Despite being an extremely popular tourist attraction that sees over 4 million visitors, it is also a working mosque and is closed at certain times for worship. 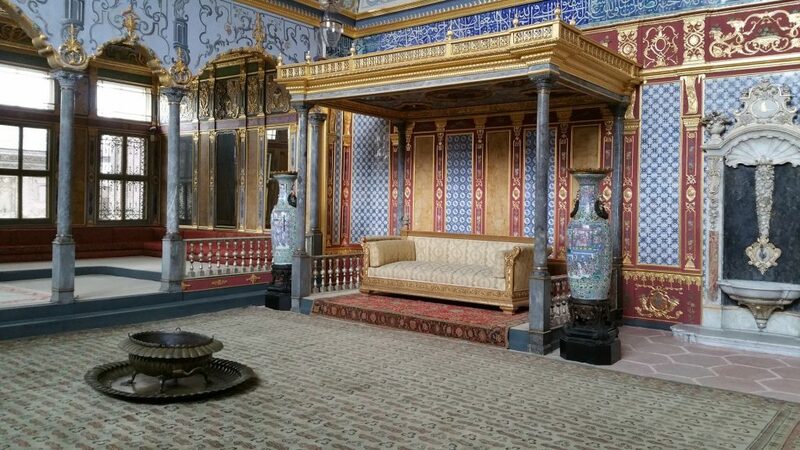 Another example of a magnificent historic building being converted into a museum for everyone to admire and experience, Topkapi Palace was the headquarters and residence of the Ottoman Sultans from the 15th to 17th centuries. 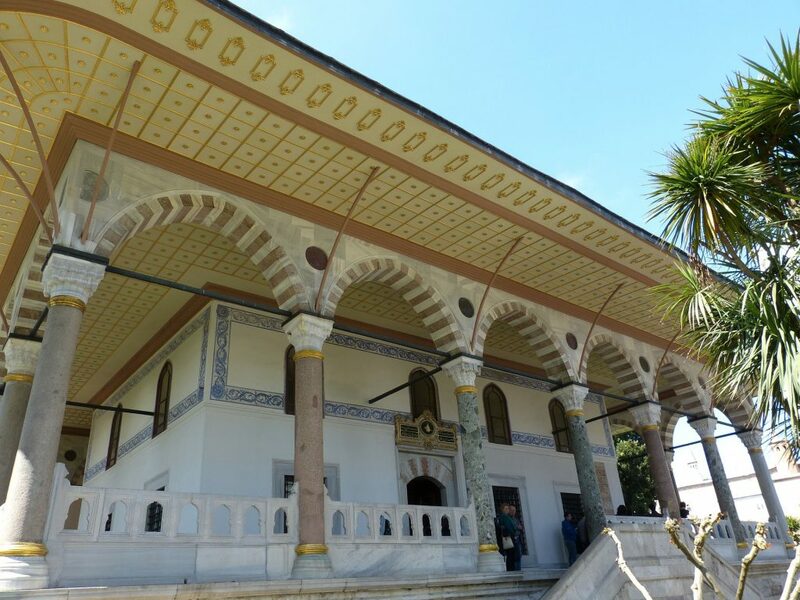 Designated as a UNESCO World Heritage Site, Topkapi Palace is a complex made up of various buildings and courtyards that are all decorated with beautiful mosaic tiles and other stunning examples of Ottoman decoration and adornment. 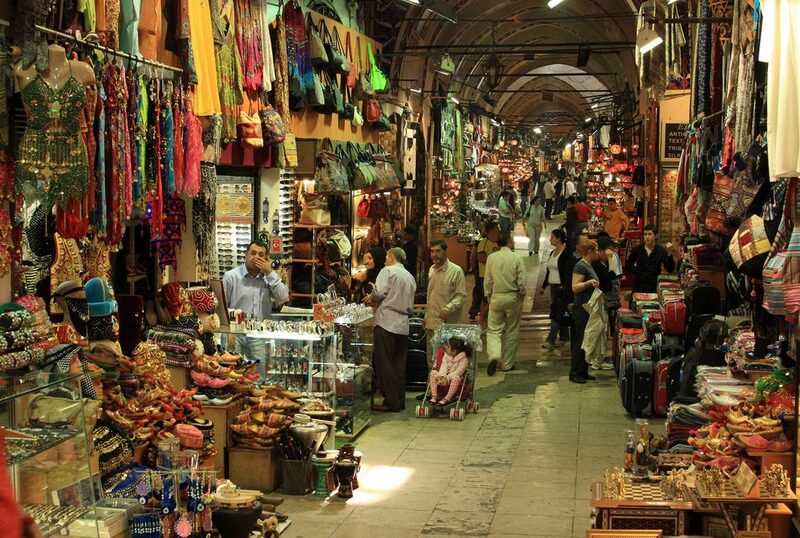 No visit to Turkey is complete without a trip to the Grand Bazaar, one of the oldest and largest covered markets in the world. People visit to see the magnificent architecture that dates back hundreds of years, which includes buildings and areas that have been added onto since it’s initial construction. 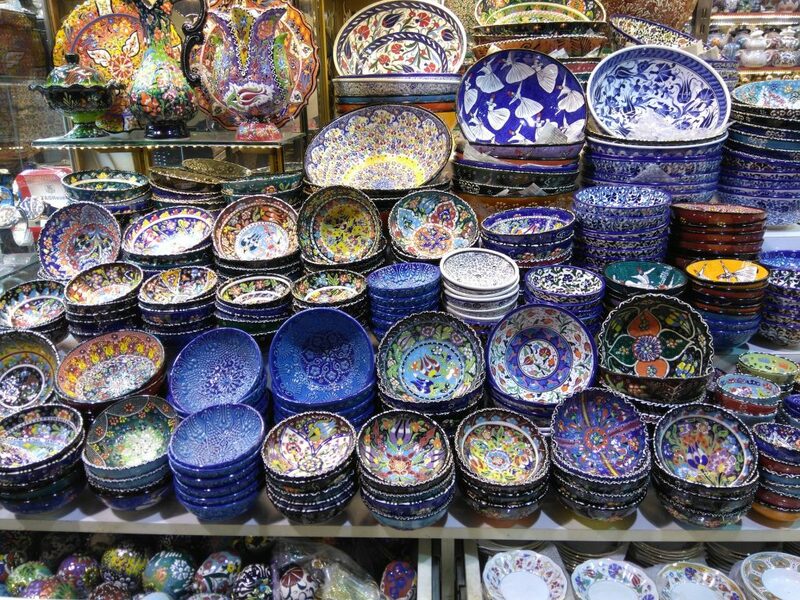 Locals and tourists also visit to buy a myriad of items including traditional Turkish rugs, handwoven textiles, antiques, food & spices, jewellery and intricately painted pottery. 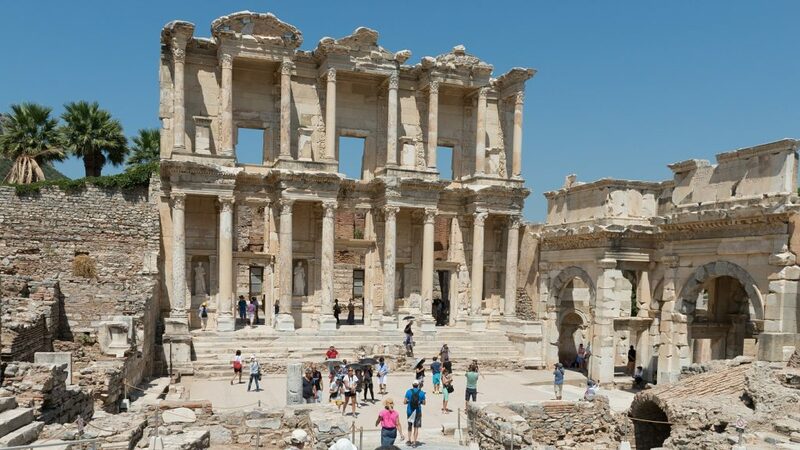 You will need to use a little more imagination when visiting Ephesus than some other historic places in Turkey, although you will still be awe-struck at the amazing buildings from many thousands of years ago. 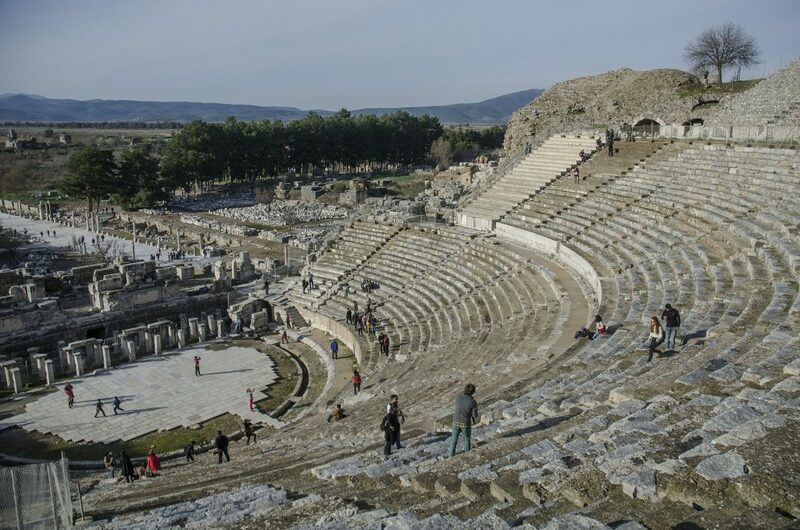 Ephesus was an ancient Greek city built in the 10th century BC and is one of the seven ancient wonders of the world. Ruins of former temples, libraries, theatres and other buildings show the passage of time from the Neolithic period, through the Bronze Age and Roman period and all the way to the Byzantine and Ottoman eras.